As we come up to the final and 15th season of American Idol in 2016, we all should celebrate the accomplishments of the contestants, crew and all the families and viewers who have made American Idol the iconic television program it is. Simon apparently thinks it has run its course. I wildly disagree, but then, they never asked me for my opinion. However, since I still want to give an opinion, I decided to begin my blog site again with any and all the juicy stories I could find. As a huge fan I love writing about American Idol. My posts are about those who made it possible behind the scenes and out in front. My articles are my personal take on all things Idol. Until the auditions start in January I’ll rehash some of the reasons why AI has become one of the greatest reality shows of all times. Once the selections are made and the show is in full swing you will hear from me with my (heh heh) humble opinions. I love to weigh in with who has, and who has not performed to perfection. Every time a singer gets on stage I imagine myself in their shoes. I can feel my heart beating, sense the ambiance of the theater, hear the low murmuring of the audience and then the breakout applause. As a want-to-be performer myself, sometimes I even take the reactions of the judges personally. I get excited just thinking about it. The stars who were born from the back stages of AI, like Jennifer Hudson and Katharine McPhee, along with the ones who we all voted for and have faded into obscurity still leave a mark on my life. The pure guts to pursue the glory of a dream in such a competitive environment blows me away. Jennifer Hudson came in 7th in the third season of Idol, and look at what she’s done with her talents! 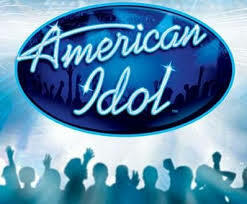 American Idol is a tribute to the many spin-offs, like The Voice, America’s Got Talent and even Dancing With The Stars. It will be missed but, let’s not lament – it ain’t over yet. I plan to enjoy every minute and share my enjoyment with you.